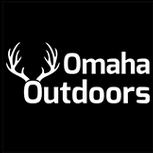 Omaha Outdoors is a trusted online source offering high-quality sporting goods and outdoor recreation merchandise for hunting, camping, fishing, and more. We bring the best bargain deals to enhance your outdoor lifestyle and keep you safe while you enjoy an outstanding adventure expedition. We pride ourselves to be a one-stop gun shop featuring the widest variety of firearms, hunting gear, and shooting accessories.